Snowball Die. That's how we feel about the Snowball and the 9-patch. 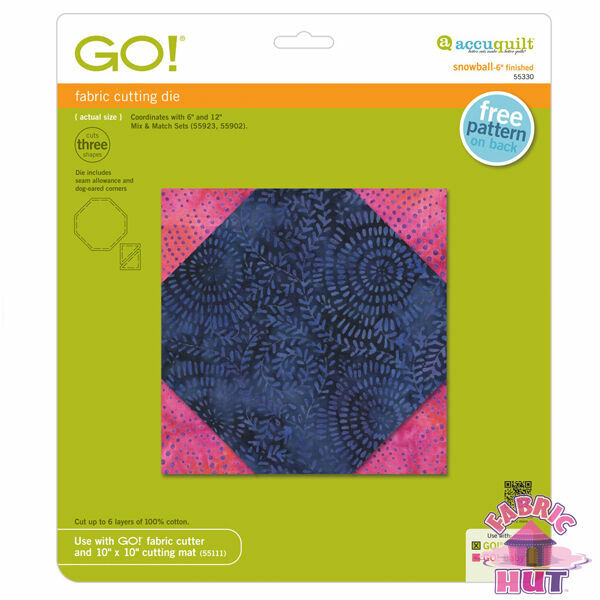 Use with a 10" x 10" Cutting Mat. Do you need a 10" x 10" cutting mat?. Do you need any cutting dies or mats?. We carry all the GO! Cuts perfect Snow Balls every time! PROS: Easy to use to cut perfect snow balls every time. No more sewing little squares to the corners of larger squares and ending up with little HSTs or worse little triangles when you're done. CONS: None! "Fiskars 45mm Rotary Cutter Blades, 5 Pack (9528)"